“No, the economy is most definitely not “recovering”. Despite what you may hear from the politicians and from the mainstream media, the truth is that the U.S. economy is in far worse shape than it was prior to the last recession. Image: U.S. Dollars (Wiki Commons). #1 The homeownership rate in the United States has dropped to the lowest level in 19 years. #2 Consumer spending for durable goods has dropped by 3.23 percent since November. This is a clear sign that an economic slowdown is ahead. #3 Major retailers are closing stores at the fastest pace that we have seen since the collapse of Lehman Brothers. #4 According to the Bureau of Labor Statistics, 20 percent of all families in the United States do not have a single member that is employed. That means that one out of every five families in the entire country is completely unemployed. 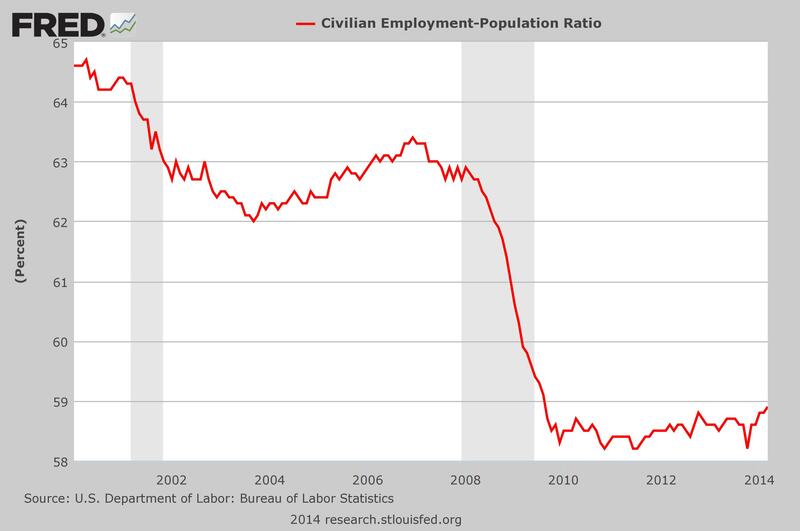 #5 There are 1.3 million fewer jobs in the U.S. economy than when the last recession began in December 2007. Meanwhile, our population has continued to grow steadily since that time.